Elesa is the Gym Leader of Nimbasa City's Gym. She specializes in Electric-type Pokémon. She gives the Bolt Badge to Trainers who defeat her. In the games, Elesa uses two Emolga and a Zebstrika. 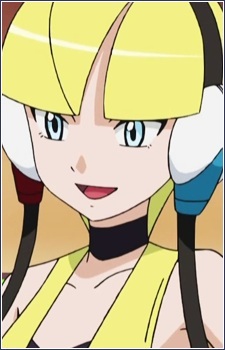 In the anime, she uses a Zebstrika, Emolga, and Tynamo.